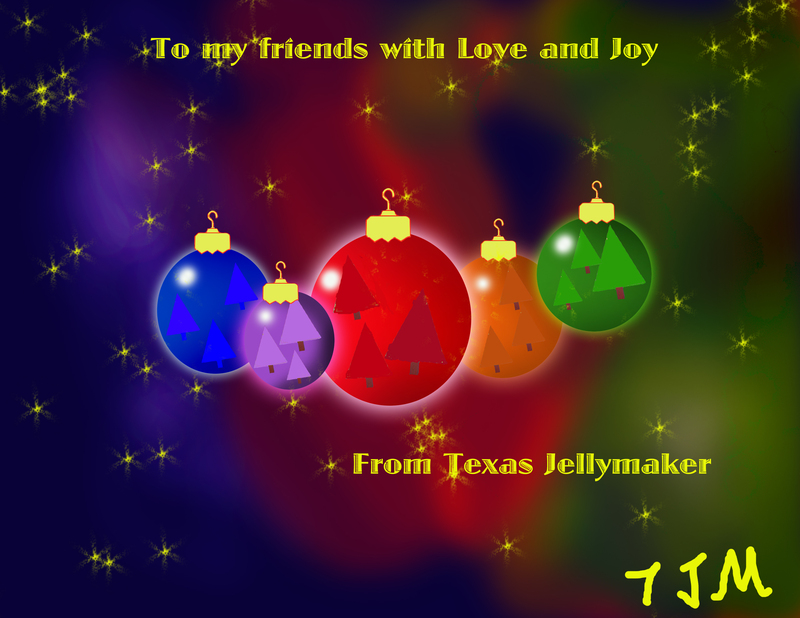 Gallery | This entry was posted in Uncategorized and tagged Christmas Spirit, Happy Jelly Making Season. Bookmark the permalink. I had more figs than I could make into jam. I saw the recipe for Fig Leather which sounded interesting. Made 4 cookie sheets of Fig Leather, rolled them into cylinders after drying them for about 10 hours, cut each cylinder into 3rds and put them in the freezer in plastic bags. They are delicious! Just take out a section, let it thaw and unroll as much as you want. Keep it in the fridge until you use each section. The cinnamon in your recipe really adds flavor. It has been a hit around my house. I am using the small brown turkey figs which are like eating honey. My tree with the big white figs is just starting to produce. I don’t know the variety, but they are as good as a fig can get! I started all my trees from cuttings. One has to take the cuttings in the middle of winter, so if anyone wants any, let me know. Fred- Glad you liked the recipe. Interesting way to freeze them. I too freeze mine so I might try that method next time. My latest project with figs is fig empanadas. They were deliscious. It sounds like your “white” figs are Celeste. Fig trees certainly are one of the easiest trees to start from cuttings. Pomegranate is quite easy also. Thanks for visiting Texas Jelly Making.